HMD Global sent out invites yesterday for a press event at MWC on February 26th, where the brand is believed to unveil its new Nokia-branded Android smartphones. Now a couple of weeks ahead of the event, the company’s new flagship, allegedly dubbed the Nokia 8, has been leaked. Apparently, Qualcomm showcased the Nokia 8 flagship at CES. The chip maker asked people to not to take photos of the device, but someone managed to shoot a video of the phone. The source suggests that the Nokia 8 will come in two variants – one with a Snapdragon 835 processor and 6GB of RAM, and the other with a Snapdragon 821 SoC and 4GB of RAM. The Snapdragon 835 SoC-powered edition of the phone will feature a massive 24-megapixel rear camera with OIS and EIS, a 12MP selfie shooter, and dual front-firing speakers. There’s no word on the camera specs of the Snapdragon 821 edition of the phone. The leak shows both variants of the Nokia 8 side by side with their camera app open. The 24MP sensor of the Snapdragon 835-powered variant of the phone with OIS and EIS displays a high level of stabilisation even while shaking. The device is expected to feature Carl Zeiss optics, and its prototype appears to have a small rectangle with HRM written over it, which suggests a heart rate monitor. We will have official details next month, so stay tuned. HTC is expected to launch a new flagship phablet allegedly dubbed the U Ultra at its “For U” event, which is scheduled for January 12th. Now popular gadget tipster @OnLeaks suggests that the brand has another smartphone in the new U series, which will launch as the HTC U Play. It will allegedly be a smaller sibling of the U Ultra, and is also expected to launch on January 12th. The tipster suggests that the HTC U Play (codenamed Alpine) will feature a 5.2-inch display of unknown resolution. It will also skip the 3.5mm headphone jack in favour of delivering the audio via a USB Type-C port. Unfortunately, the tipster didn’t reveal any other features of the U Play. Previous reports suggest that it will feature a dual-curved screen. As far as the HTC U Ultra is concerned, it will allegedly feature a large 6-inch display, and will also not ship with a 3.5mm headphone jack. No other details regarding the U Ultra also available as of now. However, we will find them out in just a couple of days, so stay tuned. Samsung’s upcoming flagship, the Galaxy S8, has been the subject of a number of leaks and reports recently. A recent rumour had suggested that the Galaxy S8 will offer a Windows Continuum-like desktop experience. Now an alleged live image of the Samsung Galaxy S8 edge variant has been leaked. In addition, a report out of South Korea has revealed the purported launch date of the phone as well. The Samsung Galaxy S8 edge’s design seen in this image is in line with the earlier reports. The phone appears to have a dual-curved display, with narrow bezels on top and bottom of the screen. There’s no home button on the device, which suggests that the brand may have placed the fingerprint sensor at the rear. Unfortunately, the source hasn’t provided any images of the rear of the phone. There’s no way to confirm the authenticity of the image though. Additonally, a report from Samsung’s home market of South Korea citing industry insiders claims that the Galaxy S8 will be unveiled at an event in New York City on April 18th. The brand is expected to launch two variants of the phone – one with a flat screen and one with a curved display – just like its predecessor. 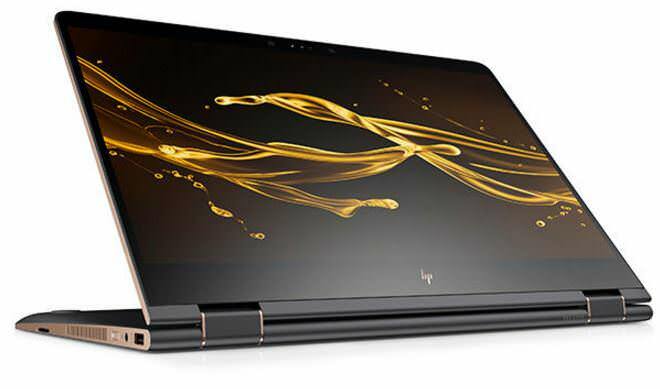 HP has kicked off its CES journey with the launch of a couple of convertibles – the EliteBook x360 and Spectre x360. Similar to their predecessors, the new convertibles also sport 360-degree rotatable hinges, which allow them to be used in several modes like laptop, tablet, stand, and tent. The brand is touting the EliteBook X360 as the world’s slimmest business convertible, and adds that it sports the longest battery life in a convertible – up to 16 hours and 30 minutes. The HP EliteBook x360 sports a CNC aluminium unibody frame, and is designed to pass twelve MIL-STD 810G tests. It features up to a 13.3-inch UWVA UHD display with a layer of Corning Gorilla Glass. The device offers up to an Intel Core i7 processor with Intel HD Graphics 620, 16GB of RAM, up to 360GB of SSD storage, and up to Windows 10 Pro 64. The convertible comes with optional NFC, one USB Type-C port with Thunderbolt, an IR camera for Windows Hello, a fingerprint sensor, and HP Active Pen stylus support. The new HP Spectre x360 flaunts longer battery life – from 9.5 hours to 12.75 hours compared to its predecessor. The convertible offers a nearly borderless 15.6-inch 4K display. It comes with a 7th-gen Intel Core i7 processor, 16GB of RAM, and 256GB of solid state storage. The device features NVIDIA GeForce 940MX graphics with 2GB of dedicated video memory. It comes with dual Bang & Olufsen speakers, infrared webcam with Windows Hello support, HP fast charge, and a USB Type-C port with Thunderbolt. Several reports last year had suggested that Samsung would be launching its first smartphone with a foldable display sometime in 2017. The phone is reportedly codenamed Project Valley, and might be launched under the name Galaxy X. Now a new rumour out of China suggests that the company will unveil its first foldable smartphones in the third or fourth quarter of this year. The rumour came in the form of a post on Weibo (Chinese equivalent of Twitter). It gives a time-frame of the launch, but doesn’t provide an exact date or month. There aren’t many details about the alleged Samsung Galaxy X are available at the moment. However, a couple of recent patent applications by the brand gave us a glimpse of the possible design. 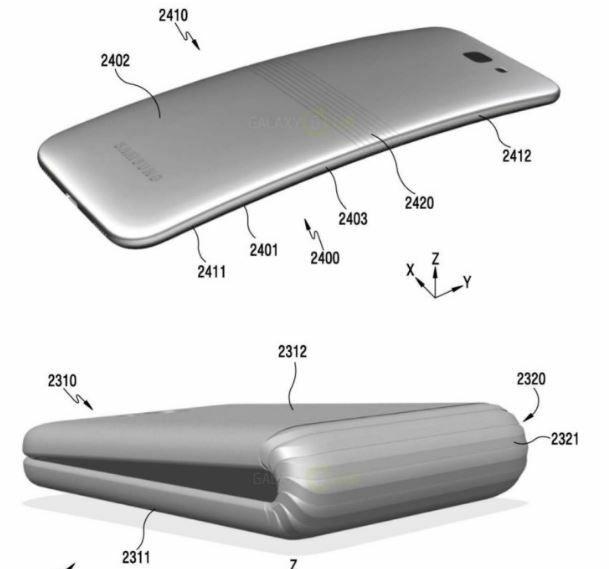 The patent applications suggest that Samsung’s foldable smartphone will feature a hinge, which will allow its display to be folded like a wallet. The phone is expected to arrive with various biometric security options like fingers, face, and palm, among others.